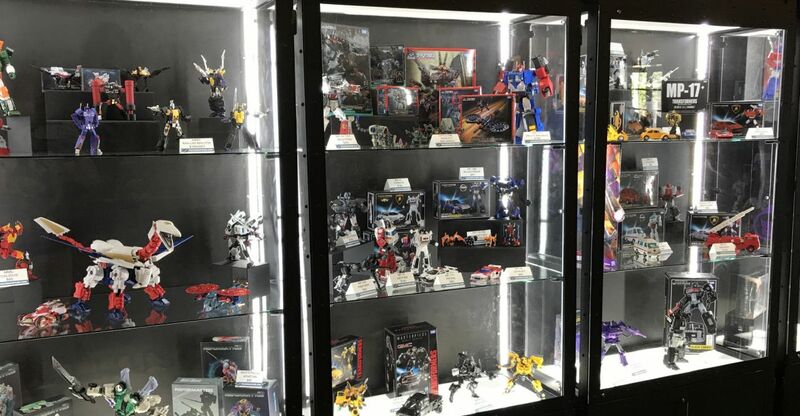 Thanks to TFW2005’s Matty for running some shots of the TFcon Los Angeles dealer room at show open. Included are a wide range of figs from multiple companies. Check the details below, pics after the break, and make sure to check the 3rd Party Discussion forum throughout the day for more details on each project. TFcon LA runs today and tomorrow, with a 3P panel happening later today that should have some new stuff, stay tuned! 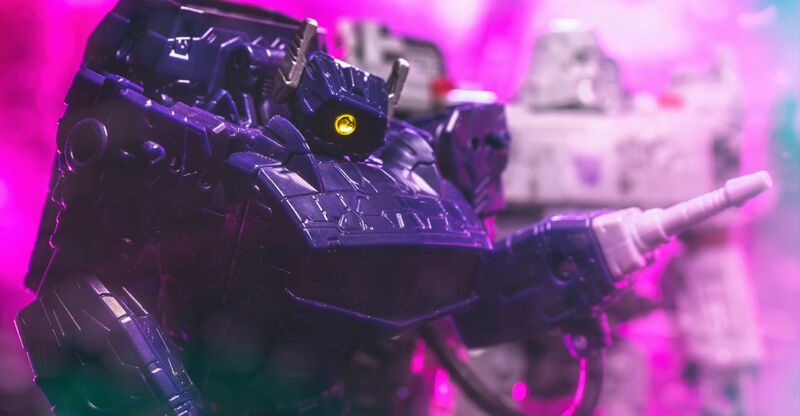 TFW2005’s WFC Siege Shockwave Gallery Online! Next up in our Siege galleries is Ultra Magnus‘ wave mate – Shockwave! Shockwave is leader class like Magnus, and features the armor based up-sizing of a core voyager figure as well. In combined mode, Shockwave features a ton of armor that beefs him up, giving him multiple extra Shockarms a backpack and some boots. Where he really shines though is in his stripped down mode. 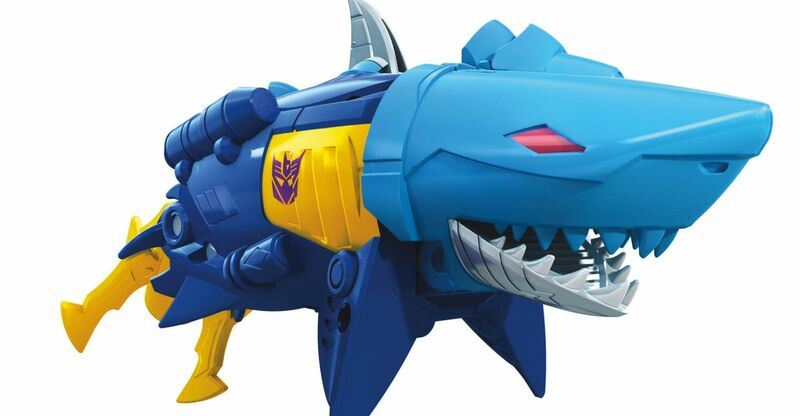 Here, he’s roughly Voyager Class size and looks/feels very G1 Shockwave-y, space gun style. I got interested due to Magnus and got Shockwave on a whim since it was in the same case, but Shockwave was way more fun once in hand. I am not a fan of the default beefy Shock with all the armor, but I do dig his hovercraft mode, I can totally see him floating around on Cybertron barking orders with that thing. We’ve run him through a session, hit the link below to check out over 60 HD images after the break courtesy of TFSource! You can also check a select few shots after the break. He’s in stock and shipping now! 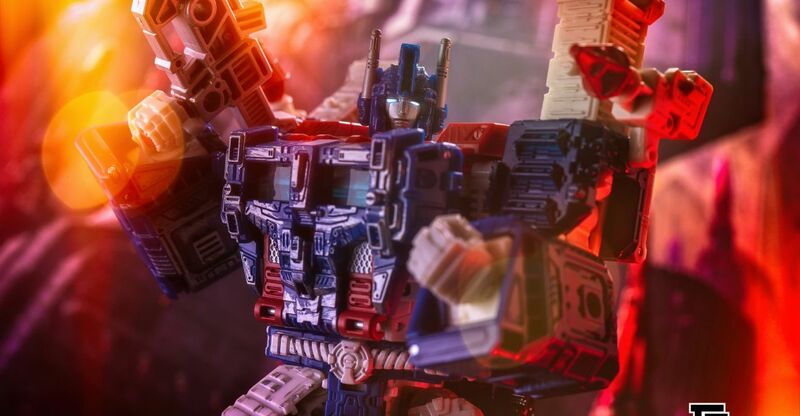 TFW2005’s WFC Siege Ultra Magnus Gallery Online! I can’t deal with that now – Siege Ultra Magnus just showed up! … is what I told everyone when this beauty arrived. First off, yes, I am shooting a non Masterpiece figure. War for Cybertron Siege caught my eye when we got first looks at SDCC 2018. Specifically, Ultra Magnus, because of his homage to RID 2001 Ultra Magnus (RIDFOREVER!). Some how they got the vehicle mode to rep RID Magnus and the robot mode to rep G1 Magnus, with an inner white cab-bot. Pure magic. From there, I figured why not, Shockwave looks cool and I grabbed the case. Then I saw Prime and Megatron in person at a big box store, so why not again. But wait, Starscream and Soundwave look on point, ok order them too. Oh and the tapes, need those for Soundwave, ordered. Reflector Refraktor, camera-bot with a tripod, I’m in. 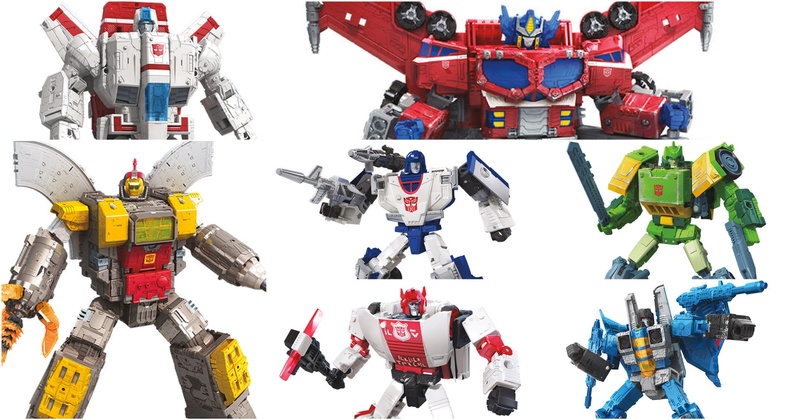 Then Omega and Jetfire get shown, what the heck is going on, I’m collecting Generations / main line figures for the first time in over a decade! Bottom line, Siege looks great in person, feels good in hand, and has a ton of updated retro feels. A little smaller than I would prefer in every size class, but once you get past that they are solid. No hollow bots, great sculpts. Homage colors, stance and likenesses are there for those that need them without being a slave to the source material. The weathering is not as good as the hand painted samples, but it’s grown on me and I’m fine with it at this point. It’s been the most fun I’ve had with retail toys in a long while. If you haven’t, pick up one of the Voyagers+ and give it a whirl, worth it. So today I’m sharing out my run of Leader Class Ultra Magnus. Shockwave and more will be coming soon. Check out the full gallery of 70+ below! The Transformers Trading Card Game officially dropped wave 2 yesterday, and TFW2005’s own Vangelus and Aaron have run the new cards to show off what they can do! After the break you can read their thoughts on the new Combiner mechanics, new methods for playing, and new options for building out decks. Vangelus has also graced everyone with not one but two videos highlighting the new cards. Keep reading to check it all out! The Transformers Trading Card Game continues to grow as its second set rumbles into stores TODAY! RISE OF THE COMBINERS sees the battlefield changed forever as the mighty, towering Combiners come into play for the first time. Introducing a number of characters and mechanics into the Transformers TCG, certain cards from RISE OF THE COMBINERS Booster Packs allow players to race against their opponent to assemble and activate their team into Combiner mode while battling for victory. Character Cards that are components of a Combiner character employ an exciting physical mechanic. Each card is the size of a standard Transformers TCG character card, but has a piece of the Combiner character on one side, and the Alt and Bot modes of a character on the Combiner team on the other. The cards have a reinforced hinge in the center, which allows them to be neatly folded when in play as one of several characters on a player’s team. RISE OF THE COMBINERS Booster Packs will be available beginning March 1 in the US and certain other regions. You can find it where trading card games are sold, but fans can check their preferred retailer for availability. Multiple character cards are needed to form a Combiner character. 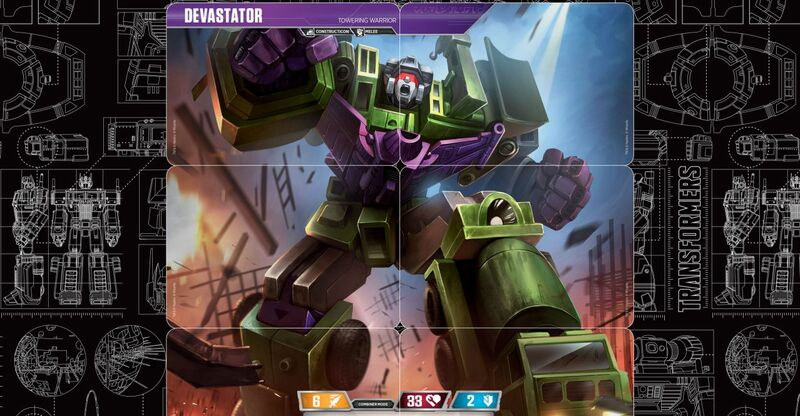 5 Combiner teams have their own Enigma Battle Cards, which a player must deploy to assemble the component characters into the full Combiner character. Approximately 1 in 2 RISE OF THE COMBINERS Booster Packs contains a Character Card needed to form a Combiner character. 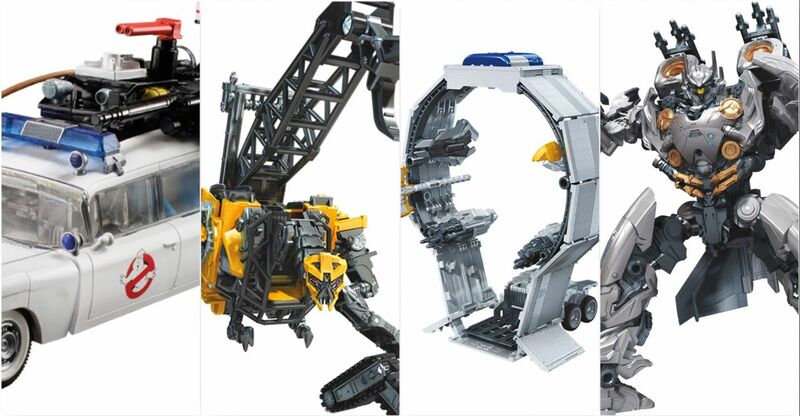 And here are the official details and product images for 2019 Transformers Studio Series figures. Also included are details for the Transformers x Ghostbusters Ecto-1 Ectotron figure. Read on to check it all out! Transformers Cyberverse Power of the Spark Trailer – Cheetor! Transformers Cyberverse Season 2 is upon us, and the trailer for the next season titled Power of the Spark is here. Lots of old school bots make appearances but one we weren’t expecting showed up too – Cheetor! 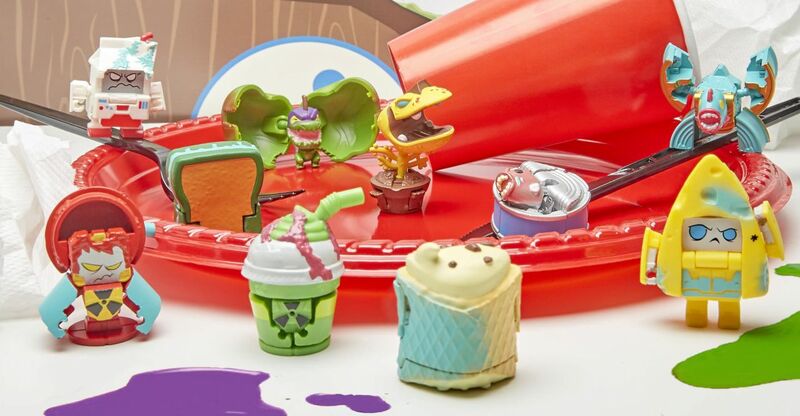 Check out the details below, and make sure to hit our story about the toys from earlier this week. Season 2, titled CYBERVERSE: POWER OF THE SPARK, is set to release fall 2019 with Cartoon Network USA. 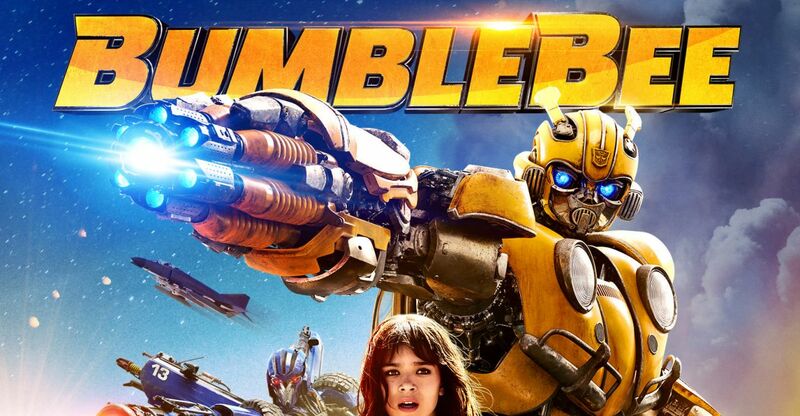 The Transformers Bumblebee movie will officially be hitting Digital and Disc starting this March! On March 19th, Bumblebee will hit digital first. Then on April 2nd, the 4k Ultra HD and Blu-Ray options will drop with over an hour of special features including a motion comic, deleted scenes, outtakes and more. The 4k Combo Pack will feature a printed version of the comic as well. Read on to check out the full press release and disc images then pre-order your copies now!